Traditional shirt with Kent collar and chest pocket. 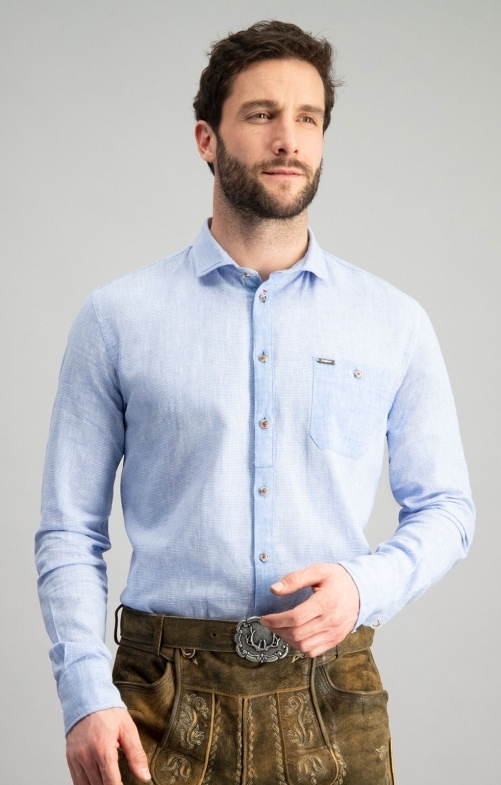 The men's traditional shirt RIO from our online shop is made of a pleasant linen-cotton blend and presents itself in bright blue. Above the left chest is a bag. The closure is made of rustic stag horn buttons. These are also found on the cuffs and chest pocket - a perfect companion for many occasions.